Teodoro Ramos-Mendez, 72, of Buckingham, died January 11, 2019 in Richmond. He was born November 7, 1946 in Santurce, Puerto Rico, a son of Teodoro Ramos-Lopez and the late Felicta Ramos-Mendez. Teddy was an active member of Levittown Church of Christ in Puerto Rico for more than 30 years. He was self- employed as a private detective, body guard and security consultant. Teddy was a proud Puerto Rican statesman and proudly served his country honorably as a Sergeant in the U. S. Army including three years in Vietnam during the war. He left the army having received the Good Conduct Medal, Vietnam Service Medal, Vietnam Campaign Medal with 60 Device Sharpshooter (Rifle) and two Overseas Bars. Teddy’s greatest joy was to spend time with his family and friends. He enjoyed flying airplanes and helicopters. He loved to sing, dance, play guitar and saxophone and listen to all genres of music. Teddy loved his Puerto Rican culture, especially the food. 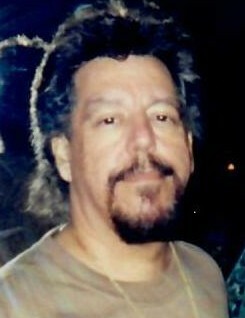 In addition to his father, Teddy is survived by his wife of 21 years, Logan Johns Ramos of Buckingham; his son, Fernando I. Ramos-Johns and his wife, Tisha Ramos; his daughter, Francesca Ramos; brother, Edwin Ramos-Mendez; two grandsons, Alon Carter and Zamyr Alkim; along with many cousins, sisters-in-law and brothers-in-law.